The parent company of British Airways is estimating it will lose £80m after the catastrophic failure of the airline's IT systems last month. 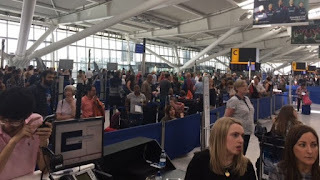 The forecast was revealed to the International Airlines Group (IAG) AGM by chief executive Willie Walsh, who apologised again for the global disruption but congratulated staff on the way they handled the glitch. 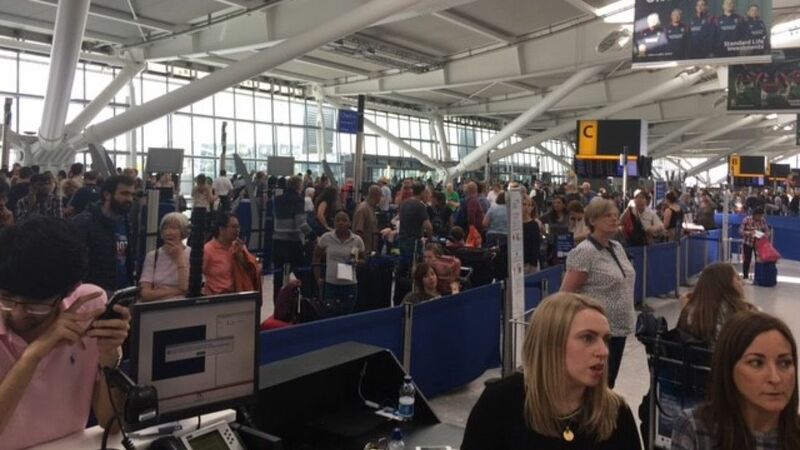 It left 75,000 passengers stranded when more than 700 flights had to be cancelled over the Bank Holiday weekend at the end of May. Many of those caught up in the chaos worldwide complained of a lack of information and poor treatment. Couples due to depart for their honeymoon were delayed for days or forced to cancel their trips. IAG - which also owns Spain's Iberia and Vueling, and Ireland's Aer Lingus - admitted it now faced an uphill battle to restore customer trust. It has previously blamed the outage on an engineer failing to follow proper procedures while rebooting systems after a power failure. An independent investigation is continuing, though BA has denied union claims it was a result of the company outsourcing IT jobs.